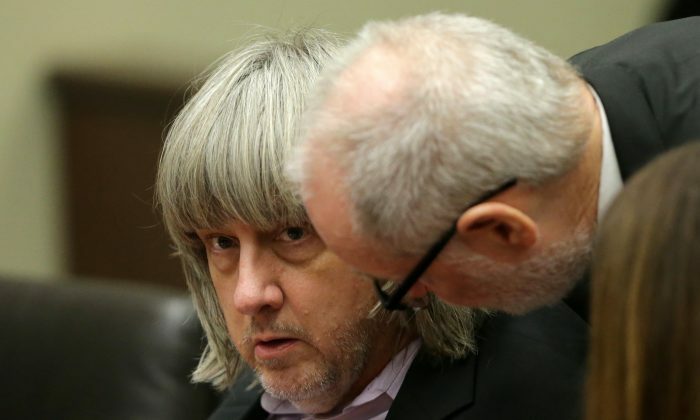 The father, David Turpin, 57, is also accused of sexually abusing one of his young daughters, Riverside County District Attorney Mike Hestrin told reporters in announcing the charges before the couple’s first court appearance later on Thursday. 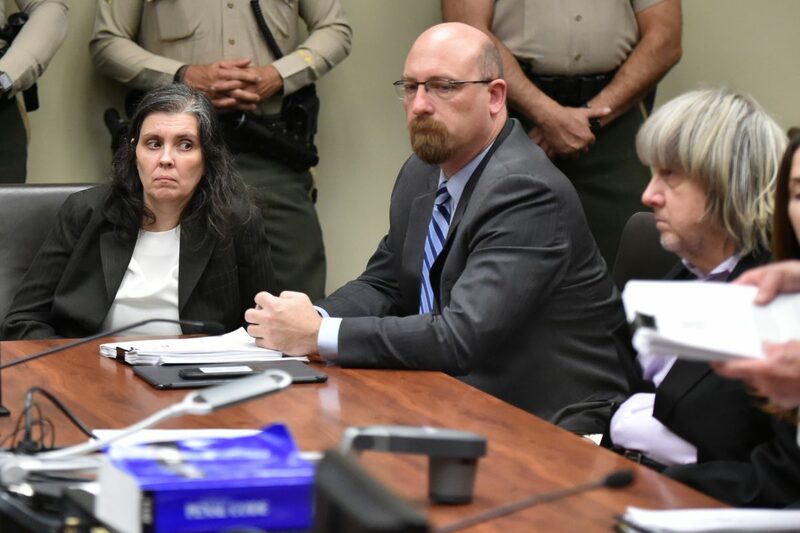 Turpin and his wife, Louise, 49, each faces 94 years to life in prison if convicted on the more than two dozen charges that include torture, child abuse and false imprisonment. The husband was also charged with a single count of lewd conduct with a child. The couple pleaded not guilty to all charges during a brief hearing before Judge Michael Donner, who ordered each defendant to remain held on $12 million bail and set the next hearing in the case for Feb. 23. Neither defendant, both dressed in dark street clothes, spoke during the proceedings. The husband could be seen sitting hunched over the defense table with his hands in his lap. The couple was arrested on Sunday, and the conditions in their home in Perris, California, discovered after their emaciated 17-year-old daughter climbed out of a window of the family home and called police.